How well do you know your Seattle Mariners? Wed., Aug. 2, 2017, 1:05 p.m.
How well do you know Seattle’s resident baseball team? Unlike certain unnamed once-“super” basketball teams that moved to Oklahoma, the Mighty Ms have been part of Northwest culture since the late 1970s. Whether they’re winning or losing, the team still enjoys a significant amount support from not just Seattleites but other fans throughout the region. After all, just like with football, there aren’t a lot of pro sports franchises north of California or west of Denver. True Ms fans and old-school Seattle sports fans know these tidbits like the back of their souvenir gloves but general readers may learn a thing or two. 1. Getting warmed up. The team’s joined the American League in 1977, but didn’t have a winning season until 1991. 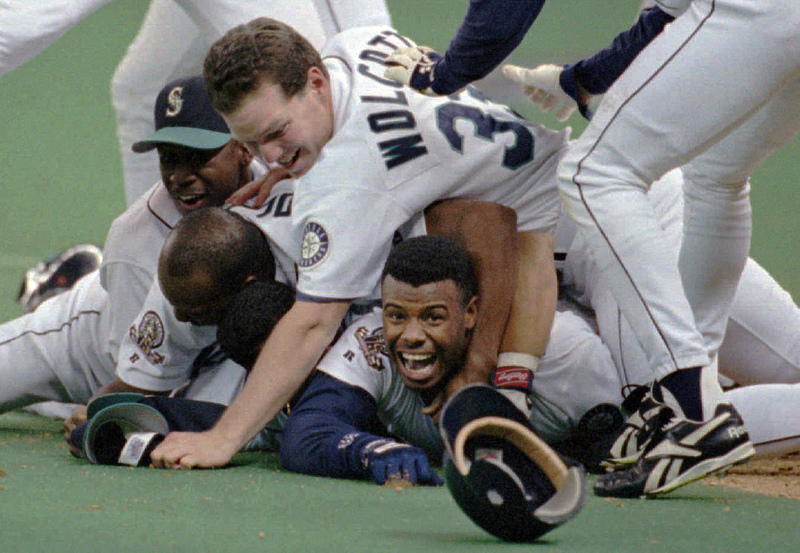 The most famous winning season was in 1995, when Edgar Martinez’s double in Game 5 against the Yankees gave the Ms its first division championship. The team won a second title in 1997, and set the AL record for wins in a season in 2001. (116). 2. Seattle’s gain. The Mariners started as a result of Seattle’s previous team, the Pilots, being sold and moving to Milwaukee, where it became the Brewers. Seattle officials sued the league for breach of contract, but offered possible teams another incentive relocate: a new sports facility. The Kingdome had recently been built for the Seahawks. 3. Dual role. Only one Mariner also was a Pilot: pitcher Diego Segui, in 1977. 4. Put a fork in it. The team name references Seattle’s nautical roots as a vital West Coast port. It was selected from more than 15,000 entries in a “Name the Team” contest. The trident, which has appeared on some logos over the team’s history, is another nautical symbol. 5. Local ties. The Spokane Indians were affiliated with the Mariners from 1979 to 1981. Even better, the Mariners chose Spokane resident Harvey Fleming as the team’s 50th millionth fan in 2004. Published: Aug. 2, 2017, 1:05 p.m.